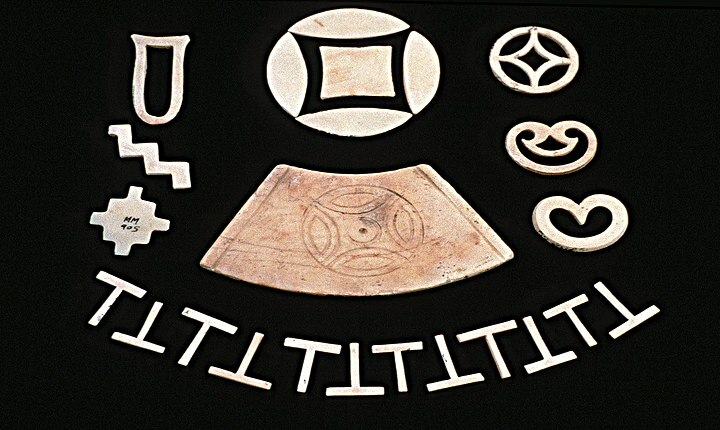 Assorted shell inlay with intersecting-circle and womb motifs, Mohenjo-daro. Major species of marine mollusca used in the shell industry are discussed in detail and possible ancient shell source areas are identified. Variations in shell artifacts within and between various urban, rural and coastal sites are presented as evidence for specialized production, hierarchical internal trade networks and regional interaction spheres. On the basis of ethnographic continuities, general socio-ritual aspects of shell use are discussed. In recent years the Indus Civilization of Pakistan and Western India has been the focus of important new research aimed at a better understanding of the character of protohistoric urban centers as well as rural towns and villages. With the accumulation of new and varied types of data many of the misconceptions regarding the rigid social structure and unimaginative material culture are being replaced by a new appreciation of the complex and varied nature of this civilization.